They snuggled for a half hour before flying off together. 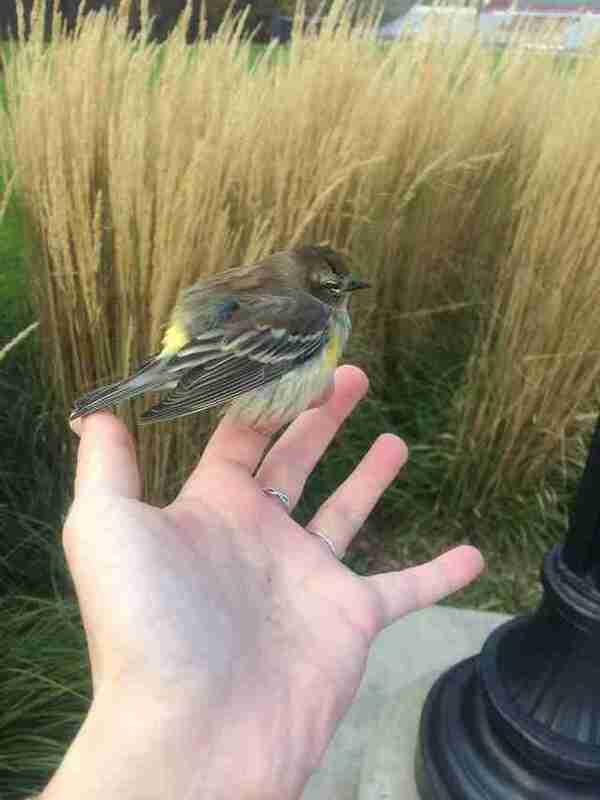 A woman was walking by the library at her university when she noticed a tiny bird, sitting on the concrete next to one of the windows, looking very bewildered. She assumed the bird must have accidentally flown into the window and injured himself, as it had happened before. She had seen another bird get snatched up by a predator while regaining his composure in the exact same situation, and not wanting this to happen again, she quickly ran over and gently picked up the little bird. 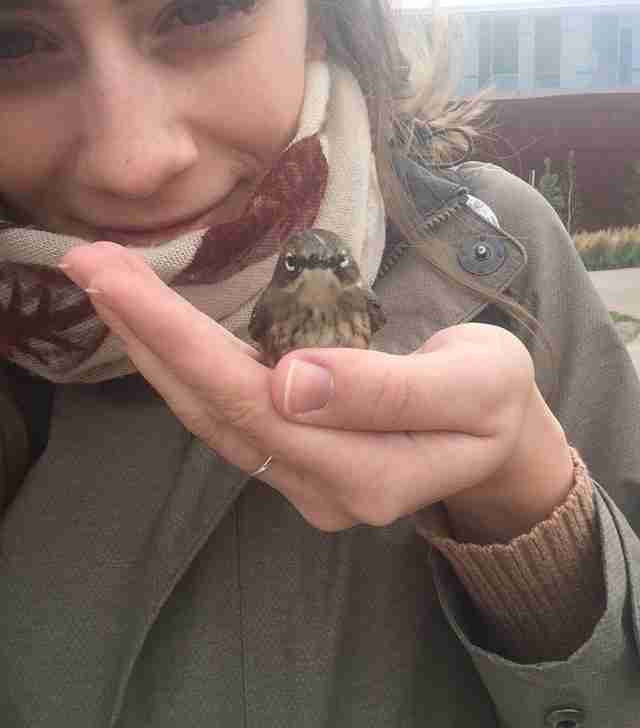 It was windy that day, and so Claire stood under a building overhang with the bird to try and help keep him warm. The bird was quiet for a while, still in shock from his ordeal, but after a while he started chirping again — and someone noticed. The bird friends stayed snuggled up together in Claire’s hands, until finally, after half an hour had passed and the injured bird seemed to be OK again, they happily flew off together. 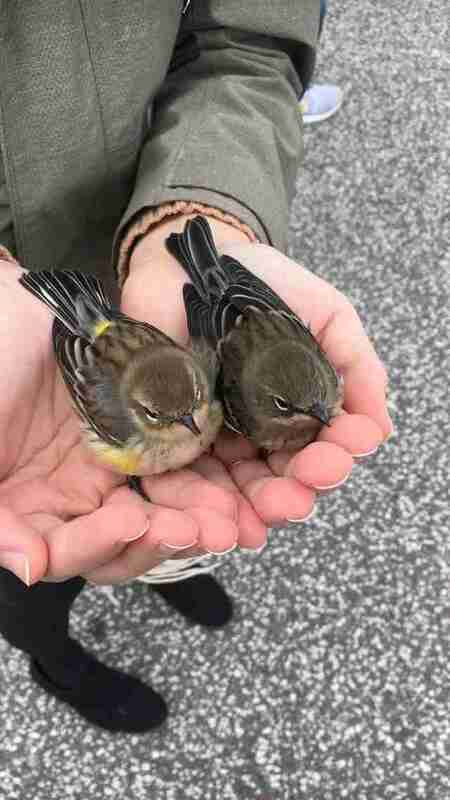 “He did not seem to have any problems flying away and they both came to rest in a nearby tree,” Claire said. 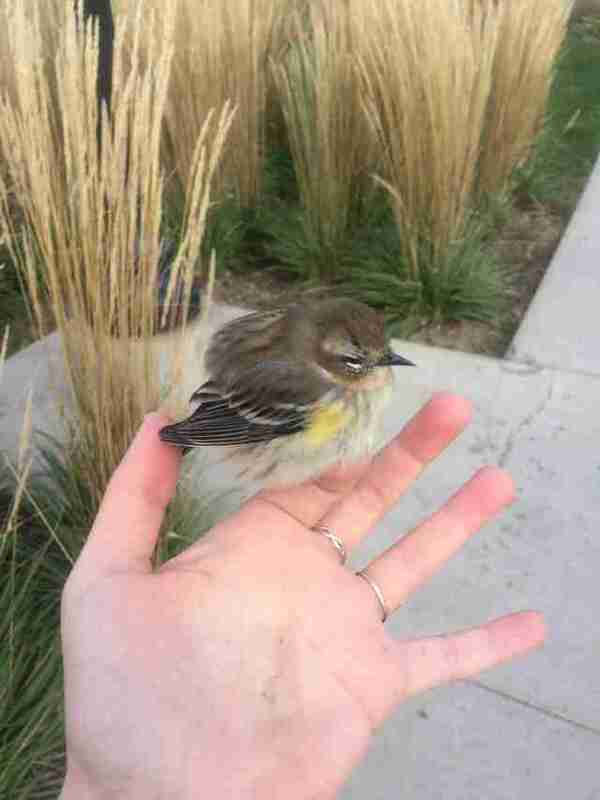 If Claire hadn’t picked up the injured bird, he and his friend may never have been reunited. Now, they are happily together again, and will hopefully steer clear of those pesky windows in the future.